Five of the top 10 countries with the most improved economies since the previous year are in sub-Saharan Africa, according to the World Bank Group’s Doing Business 2015 rankings. The five African countries are Benin, Togo, Cote d’Ivoire, Senegal and the Democratic Republic of Congo. Other nations making the list are Tajikistan, Trinidad and Tobago, Azerbaijan, Ireland, and the United Arab Emirates. Sub-Saharan African countries had the highest number of regulatory reforms — 75 of 230 around the world — while emerging Europe and Central Asia had the highest percentage of improving countries. Progress was uneven in the Middle East and North Africa, with conflict-affected Syria near the bottom. South Asia saw the lowest number of reforms. The 12th annual report finds that the 10 economies with the most business-friendly regulatory environments are Singapore, New Zealand, Hong Kong SAR, China; Denmark, the Republic of Korea, Norway, the United States, the United Kingdom, Finland and Australia. While 80% of countries in the study improved their business regulations last year, only about one-third moved up in the rankings. However, the gap between the best- and worst-performing countries continues to narrow as countries improve their business climates, said Rita Ramalho, manager of the Doing Business Project. For example, in 2005 it took an average of 235 days to transfer property in the lowest-ranked countries and 42 days in the top-ranked countries — a difference of 193 days. The gap now has narrowed to 62 days (around 90 days for the lowest-ranked and less than 40 for the top-ranked). 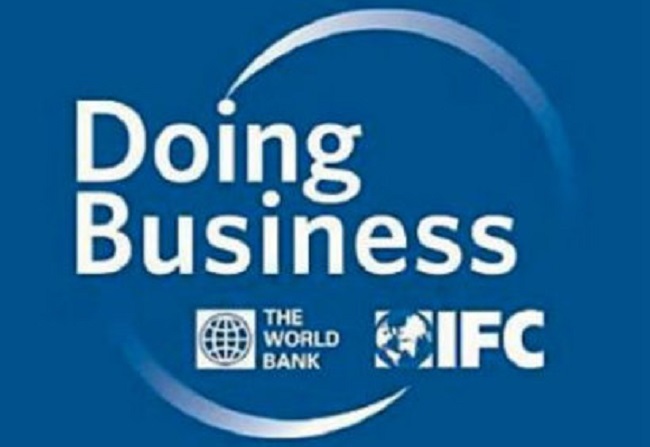 The report measures the ease of doing business in 189 economies based on 11 business-related regulations, including business start-up, getting credit, getting electricity, and trading across borders. The report does not cover the full breadth of business concerns, such as security, macroeconomic stability, or corruption. This year’s report, “Doing Business 2015: Going Beyond Efficiency,” uses new data and methodology in three areas: resolving insolvency, protecting minority investors, and getting credit. “We want people to be aware this is a different report and that we’re measuring new areas we weren’t measuring before,” said Ramalho. “Doing Business is by and large about the efficiency of regulations — how fast, how cheap, how simple it is to get a transaction completed. But now we’re branching out to also measure the quality” of regulations, she said. New data reveal regulatory efficiency and regulatory quality go hand in hand. “We see a high correlation between the two. Countries that do it fast and cheaply are also likely to do it well,” said Ramalho. The resolving insolvency indicator, for example, previously focused on the efficiency of the bankruptcy court system. This year’s report looks at the strength of the underlying legal system governing insolvency and whether laws follow good practices. Countries that rank low on this indicator often have outdated laws or lack an insolvency law altogether. Some countries have good laws on the books but do not implement them efficiently. Yet, without a well-functioning insolvency process in place, it’s more difficult for entrepreneurs to get financing and less likely they would risk failure or venture into a new business, said Ramalho. The 2015 report also includes data from two cities rather than one for 11 countries with more than 100 million people (Bangladesh, Brazil, China, India, Indonesia, Japan, Mexico, Nigeria, Pakistan, the Russian Federation and the United States). In most cases, the report did not find significant differences between the two cities in terms of business climate. Next year, Doing Business will enhance methodology, data collection, and analysis for five more indicators: obtaining construction permits, getting electricity, registering property, paying taxes, and enforcing contracts.